A valve is a mechanical device that controls the flow of fluid and pressure within a system or process. A valve controls system or process fluid flow and pressure by performing any of the Following functions. 2) Body Part for easy understanding. For valve control, it will be classified as either a Phenumatic, Motorized and Hydrolics but is commonly used in our industry, it is Phenumatic Actuator Actuator or controlled by the wind itself. For easy maintenance Actuator simple structure which will include the Yoke, too. Rain Cap I pray for them not to let water flow into the Actuator for Action of the Air to Open Actuator is that the wind will be from the bottom of the Actuator so the holes are left blank. Find something else to disabled To keep water when it rains. And must be taken off the air valve at the back. Diaphragm is flexible. To change the incoming wind power and power passed to Diaphragm plate to make Actuator Stem Cell. Spring is in the Yoke Actuator Case or, depending on the design of the manufacturer. It will act as a force for Actuator Stem Cell and a strong wind from the opposite direction to the plate Diaphragm. Actuator Stem is interconnected with Actuator Valve Stem. Diaphragm Case are the parts that are used for packing Diaphragm plate consists of two parts: the upper and lower sections. Scale Plate is based on the position of the valve between 0-100%. Stem Connector is the link between them for Actuator Stem and Plug Stem. Yoke is a component that is used for connecting sections of the Actuator and Valve Body. Packing Flange is used for compression of the stud bolt to make the most of all the Gland Packing tight and fluid can not leak out of the neck Bonnet. Packing Follwer is the strength of Packing Flange Gland Pakcing tightly compressed to tighten over time. Gland Packing is important that we prevent the leakage of fluid up to the neck and is in direct contact with Bonnet Plug Stem The choice of material and type to fit so there is a huge need.Most of the material used is PTFE or Graphite and maintenance each time. The need to change the Gland Packing all times. Valve Stem is the strength of the Actuator and connected to Plug. Bonnet was primarily used for supporting the position of the Plug-time scroll up, scroll down to find it. No left and right But some manufacturers cut output to reduce the Bonnet Cost for the production and sale of the valve. The maintenance is also difficult. It is not to come and support the position of the Plug and Seat to meet constantly Lapping. Gasket is a device used to prevent leaks during the assembly of iron and steel as well as between the Body and Bonnet. Guide Ring is located in Bonnet order to align Plug straight up. Another reason for having Guide Ring Bonnet, instead of doing all the reason to reduce maintenance time Cost. Because this section is always exposed to Stem Plug sometimes wear if not Guide Ring may be a whole instead of only replacing Bonnet Guide Ring. Guide Bushing is used for supporting Guid Ring again. Valve Plug is essential to use the force of fluid flow. And determine the flow properties as Linear, Equal Percentage or Quick Openning. Seat Ring is a component that is part of Valve Body and given the size of the Rated Cv of the valve and which supports Plug and Plug and Seat Ring must be close together. To be able to follow the Class Leakage as needed. Valve Body , a major component of the round and get direct contact with the fluid. The connection to the pipeline Therefore, the size and material must be chosen accordingly. Read more at PT Rating by Valve Body structure is a frequently encountered 1. Single-Ported is a 1 plug with 1 seat 2. Double-Ported is a 2 plug with 2 Port 3. Two-Way Valve is. There will be two connections (one inbound and one outbound) 4. Three-Way Valve is to have three connections (one or two inbound and two outbound, inbound and one outbound). Trim Set the control valve (Trim Control Valve) is the word of Plug Stem Seat Ring, which collectively set trim (trim set) itself. Positioner or position will be the key to control of the control valve. The industry standard device that converts the signal (signal standard), such as 4-20 mA, 3-15 psi as wind power to propel Actuator head movements. Explain in detail about main valve parts ? Valve bodies are cast or forged into a variety of shapes. Although a sphere or a cylinder would theoretically be the most economical shape to resist fluid pressure when a valve is open, there are many other onsiderations.For example, many valves require a partition across the valve body to support the seat opening, which is the throttling orifice. With the valve closed, loading on the body is difficult to determine. The valve end connections also distort loads on a simple sphere and more complicated shapes. Ease of manufacture, assembly, and costs are additional important considerations. Hence, the basic form of a valve body typically is not spherical, but ranges from simple block shapes to highly complex shapes in which the bonnet, a removable piece to make assembly possible, forms part of the pressure-resisting body. Valve bonnets, although a necessity for most valves, represent a cause for concern. Bonnets can Complicate the manufacture of valves, increase valve size, and represent a significant cost portion of valve cost, and are a source for potential leakage. The internal elements of a valve are collectively referred to as a valve’strim. The trim typically includes a disk, seat, stem, and sleeves needed to guide the stem. A valve’s performance is determined by the disk and seat interface and the relation of the disk position to the seat. There is no upward stem movement from outside the valve for a non rising stem design. For the non rising stem design, the valve disk is threaded internally and mates with the stem threads. The actuator operates the stem and disk assembly. An actuator may be a manually operated hand wheel, manual lever, motor operator, solenoid operator, pneumatic operator, or hydraulic ram. In some designs, the actuator is supported by the bonnet. In other designs, a yoke mounted to the bonnet supports the actuator. Except for certain hydraulically controlled valves, actuators are outside of the pressure boundary.Yokes, when used, are always outside of the pressure boundary. Valve packing must be properly compressed to prevent fluid loss and damage to the valve’s stem. If a valve’s packing is too loose, the valve will leak, which is a safety hazard. If the packing is too tight, it will impair the movement and possibly damage the stem. Because of the diversity of the types of systems, fluids, and environments in which valves must operate, a vast array of valve types have been developed. Examples of the common types are the globe valve, gate valve, ball valve, plug valve, butterfly valve, diaphragm valve, check valve, pinch valve, and safety valve. Each type of valve has been designed to meet specific needs. Some valves are capable of throttling flow, other valve types can only stop flow, others work well in corrosive systems, and others handle high pressure fluids. Each valve type has certain inherent advantages and disadvantages. Understanding these differences and how they effect the Valve’s application or operation is necessary for the successful operation of a facility. Although all valves have the same basic components and function to control flow in some fashion, the method of controlling the flow can vary dramatically. In general, there are four methods of controlling flow through a valve. 1) Move a disc, or plug into or against an orifice (for example, globe or needle type valve). 2) Slide a flat, cylindrical, or spherical surface across an orifice (for example, gate and plug valves). 3) Rotate a disc or ellipse about a shaft extending across the diameter of an orifice (for example, a butterfly or ball valve). 4) Move a flexible material into the flow passage (for example, diaphragm and pinch valves). Each method of controlling flow has a characteristic that makes it the best choice for a given application of function. 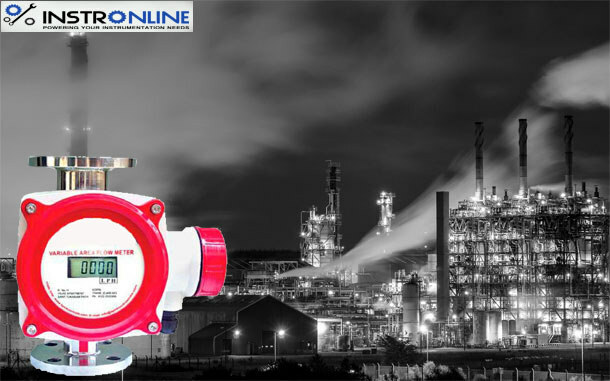 Globe valves are used in systems where good throttling characteristics and low seat leakage are desired and a relatively high head loss in an open valve is acceptable. Butterfly valves provide significant advantages over other valve designs in weight,space, and cost for large valve applications. Safety/relief valves are used to provide automatic over pressurization protection for a system.